Arkona wind farm reduces marine environment impact through less corrosion due to new coating technology used on monopile foundations. The offshore Arkona wind farm project in the German Baltic Sea has received the German Renewables Award presented by the Clusteragentur Erneuerbare Energien, based in Hamburg. The project got the Innovation Product of the Year award for a newly developed method to protect the steel foundations of offshore wind turbines from corrosion. 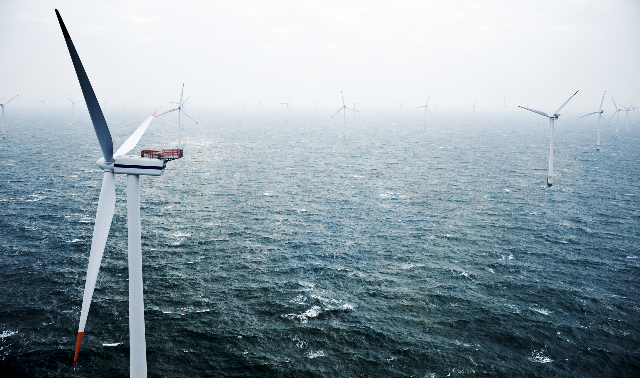 Ramboll has developed the method for E.ON and Statoil to reduce the environmental impact and lower the construction costs of offshore wind farms. During the 25-year operating life of an offshore wind farm, metal-dissolving corrosion is significantly reduced by the new method, and emissions to the sea are reduced by several hundred tonnes. The method is called TSA (Thermally Sprayed Aluminum) and fully replaces the use of sacrificial anodes applied to the monopiles. TSA has so far been used primarily as corrosion protection for smaller steel components under water or for larger components above water, such as offshore substations. Arkona is the first project to install all monopiles of an offshore wind farm using this corrosion protection technology. According to E.ON this sets new standards for the construction and operation of offshore wind power plants. The Arkona project is located 35 kilometres northeast of the island of Rügen. The wind farm will have a capacity of 385 megawatts (MW) and will be able to supply up to 400,000 households with renewable energy from 2019 onwards. It will install 60 six-megawatt turbines based on monopile foundations designed by Ramboll.